While much of the tap-and-pay focus in Android has been on Android Pay, that doesn’t mean that Google has given up on Google Wallet. While the latter app has morphed into more of a send a payment to a friend app, Google continues to work on it and add new features. The latest update that was released yesterday, version 11.0-R234-v13 for those keeping score at home, gives you the ability to add multiple bank accounts to the app. It is a nice addition that comes with other improvements to the app. from prior to the transaction. To add the 2nd account you just need to go to the menu then Settings>Bank Accounts and have the routing and account number with you as you will need them. 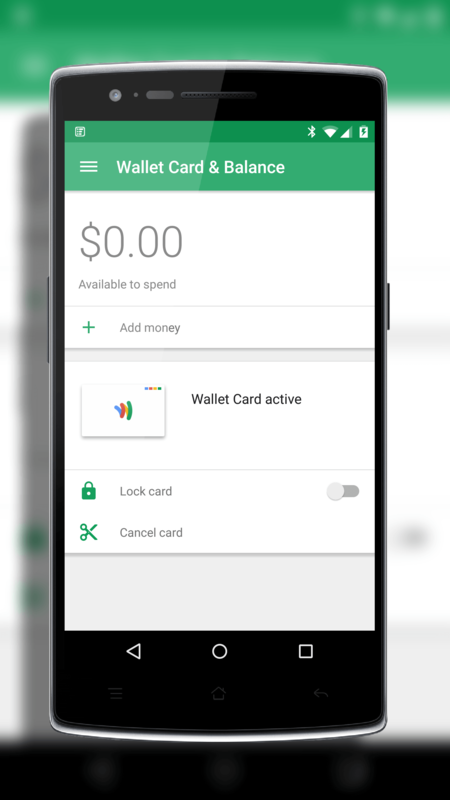 Other changes in this update to Google Wallet focus on the overall user experience. Now the contacts that you send funds to most often will bubble up to the top of your contacts list in the app so you can quickly and easily find them (think parents sending funds to their college kids). This will save users from having to hunt-and-peck their contacts to find those they send money to most. Finally, there is a new Lock Now feature that allows users to instantly lock the Google Wallet app and requires your PIN to access again. The update to Google Wallet is in the Google Play Store now and if you have the app installed you will see it trickling to you over the course of the next few days.